"[John Strachan is] the most dangerous and spiteful man in Canada"
John Strachan (pronounced "Strawn") was the youngest of six children, born to parents who were "not rich but respectable," his father being an overseer in a granite quarry. His mother wanted one of her sons to become a minister, and sent John to Aberdeen Grammar School to receive a liberal education. His education, however, almost came to an end in 1793 when his father died in an accident. Unable to rely on resources from his family, Strachan turned to teaching and tutoring to finance his way through King's College. This experience solidified his academic ambitions, as he was determined to become a gentleman. 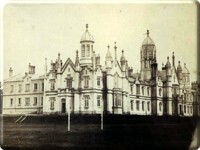 After graduating from King's College in 1796, Strachan enrolled at St. Andrews. Complications arose when he fell so completely in love with a local girl that he couldn't concentrate on his studies. Without the financial resources to take a wife, Strachan believed that the only way to get the girl out of his head was to leave the area. He was accepted as a schoolteacher in Kettle, a town too far from St. Andrew's for Strachan to continue his studies. The possibility of achieving a higher station than parish schoolteacher now seeming slight, Strachan was receptive to Dr. James Brown's advice "to go to Upper Canada to teach." Strachan left Greenock in August 1799, and arrived at his new home in Kingston on December 31. For eighty pounds a year, Strachan tutored the children of Richard Cartwright, member of the Legislative Council, the children of Church of England clergyman John Stuart, and the children of a few other prominent members of the town. He lived in the Cartwright household, a family of loyalists from New York with strong business ties in Montreal. After spending three years in the intimate company of Cartwright and Stuart, Strachan had begun to see the politics of Upper Canada through a conservative lens. In 1803, Strachan reconsidered his mother's dream and became a deacon within the Church of England, obtaining ordination to the priesthood the following year. (Although he had been raised Presbyterian, the Church of England provided better career opportunities; moreover, Strachan did not see any fundamental theological differences between the two sects.) Starting his new career in Cornwall, he soon earned a reputation for his industriousness and untiring work ethic. He made himself known to other clergymen, established connections, and, most importantly, emerged as the best teacher in Upper Canada. Some of the boys whom Strachan had taught in Kingston came to Cornwall to continue their schooling with him. More than twenty students boarded in his schoolhouse his first year in Cornwall. Four years later the numbers were doubled, as the leading figures in government, business, and the professions sent their sons to Strachan to be trained to be the leaders of their generation. Strachan developed a high-caliber curriculum that borrowed from his Scottish background while adapting it to the needs of Upper Canadian society. When he failed to uncover a suitable arithmetic text, he wrote his own; he stressed natural science; and invented an intricate system of rewards and competitions to excite the boys about their studies. All of this was built on a foundation of British patriotism and Christian morality. In the spring of 1807, Strachan wed Ann Wood McGill, widow of Montreal mercantilist Andrew McGill. The marriage fuelled Strachan's dream of founding a university, as it put him in connection with the wealthy James McGill, father of his wife's first husband. When McGill wondered how to divest his wealth, having no close living relatives, Strachan suggested that he leave it for education. McGill therefore appointed Strachan as one of the four trustees to turn the estate over to the Royal Institution for the Advancement of Learning to establish a college upon his death in 1811. Strachan had married well, built a highly reputable school, established a tight parish community, and received an honorary Doctor of Divinity degree from the University of Aberdeen the same year James McGill died. John Strachan had made himself a clear success in Upper Canada - but Cornwall, he believed, was too small a stage for his energy and ambition. So in 1812, the Strachan family relocated to York, where John would serve as rector of St. James' Church and headmaster of the Home District Grammar School. As the Napoleonic Wars raged in Europe, pitting France and Britain in bitter opposition to each other, Strachan strove to cultivate a sense of British patriotism and loyalty to its king and constitution in York. In a sermon delivered in August of 1812 (the month General Brock repelled the American invasion and captured Fort Detroit), he denounced the United States for allying with Napoleon, "the most cruel tyrant that has ever appeared ... in fighting against the last pillar of freedom and happiness in the world." In December of 1812, Strachan gathered other prominent townspeople to form the Loyal and Patriotic Society of Upper Canada, of which he became president. The society's principal mission was to raise funds to relieve militiamen who had been disabled in combat and their families. As chaplain of the York garrison, he devoted himself tirelessly to ministering to the sick, wounded, and homeless all through the war, displaying the type of heroic dedication that ensured his place in the annals of York's history. More enduring, however, was the fame he achieved in 1813 when the Americans twice invaded his town. When General Sheaffe withdrew his British small force from Fort York in the spring, Strachan jumped to the forefront of the civilian team that assembled to make terms of capitulation with the enemy. 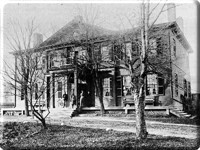 He negotiated with American General Henry Dearborn for the transfer of all public buildings and property to the Americans on the condition that they respect the private property of York's residents. When certain troops failed to honour this agreement over the next few weeks by looting private homes, Strachan took on considerable personal risk by complaining to their superiors and demanding that the stolen property be returned. After the Americans came back at the end of July, Strachan even extracted a promise from Commodore Chauncey to return some books that had been looted earlier. The residents of York never forgot Strachan's courage or heroism. The war had filled him with patriotic pride for a province he had initially disdained; now an irrevocable Upper Canadian, Strachan vowed to ensure that the province be made worthy of the heroes who had saved it. While his central concerns still remained with religion and education, the close of the war made him realize that he would have to take to the political stage to achieve his goals. In 1815, the year after General Rottenburg submitted his request to the Lieutenant-Governor for Strachan to be considered for an appointment to the Executive Council of Upper Canada, Strachan was made an honourary member of that body, becoming a full member in 1817. He quickly demonstrated his genius for business administration, becoming one of the most important and influential members of the provincial government by the 1820s. This early success convinced Strachan that he should also seek a seat in the legislature, which, he believed, was controlled by Protestants who caused the interests of the established Church of England to suffer. His appointment to the Legislative Council came in 1820, and he remained in the Upper House as a pillar of the Family Compact until the union of the two Canadas in 1841. 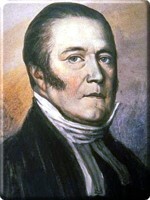 Strachan continued to believe that education was the key to the future of the two provinces. As after the War of 1812 formally closed in 1815, he began work on proposing educational improvements, the first of which was an appeal to the Lower Canadian legislature to establish an Anglican English-language college in Montreal using the bequest of James McGill. His second proposal, which contained a comprehensive study of the Upper Canadian educational system, called for the establishment of a university in the province as soon as possible so that it would become unnecessary to send "young men out of the province to finish their education," since Great Britain was too far and expensive, and "those sent to the United States commonly learn little beyond anarchy in Politics & infidelity in religion." This university would train its students to become proud British subjects, respectable Christian gentlemen, and the province's future statesmen. Strachan's report also outlined an overhaul for the province's district grammar schools. He suggested that they could be improved with more carefully-selected teachers, public examinations, annual reports from school trustees, and free tuition "in order to open the way to the poorer Inhabitants to a liberal Education for their promising Children." In addition, he called for the establishment of a publicly-funded elementary, or "common, school system. Both the grammar and elementary school systems would be supervised by a provincial Board of Education. Strachan devoted most of his political career to education goals. In 1816, Strachan drafted the Common School Act, which remained the basis of the Upper Canadian elementary school system until 1841. A revised 1819 Grammar School Act also adopted many of his proposals. (The legislature, however, did not believe at that time that free tuition or founding a university was financially feasible.) And the establishment of a Board of Education in 1822 closed Strachan's thirty year career of classroom teaching as he assumed its presidency. This post, however, brought criticism from Reformers, who feared that the school system was falling under control of both the Tories and the Church of England. With fewer than a dozen Anglican clergymen administering to the entire province, Strachan was concerned that the Church of England's would not be able to maintain its dominant status in politics and education. 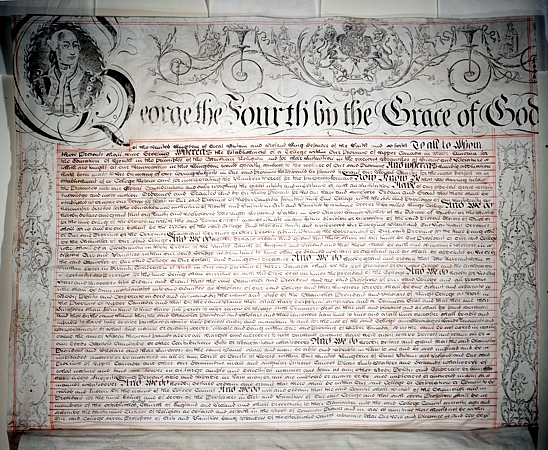 The government of Upper Canada had to choose whether it would adopt the Church of England as the official state church or whether it would separate church from state. This controversy manifested itself in the sale and distribution of the Clergy Reserves, Crown lands set aside for the support of Protestant clergy by the Constitutional Act of 1791. John Graves Simcoe, Upper Canada's first Lieutenant-Governor, had strictly interpreted "Protestant clergy" to mean strictly Anglican clergy alone, and Strachan agreed. Upon his request, the Executive Council formed the Upper Canada Clergy Corporation in 1818, a twelve-member body of Anglican clergymen, chaired by the Bishop of Quebec, to oversee, manage, and lease the reserved land. When the leasing policy proved inadequate in increasing church revenue, the Corporation asked the government to sell the lands. With the separation of church and state manifested in a single issue - how should profits from the sales be dispersed? - Tories and Reformers engaged a bitter clash that would rage for the next four decades. 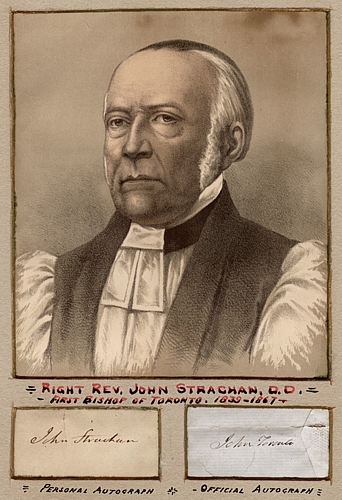 Firm in his belief that a well-ordered state needed an established church to fulfill specific functions, Strachan felt that the government should declare the Church of England as the official church of Upper Canada, and thus entitled to all proceeds from the Clergy Reserves. (The conjunction of church and state, however, bore to Strachan no limitations on the individual's freedom of worship.) 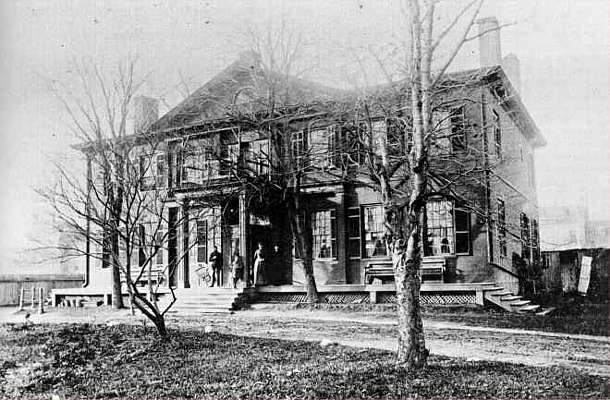 As the Family Compact faced assault from William Lyon Mackenzie's Colonial Advocate, and the Lower House began to fill with Reformers, Strachan decided that the best way to keep the province on the right track (that is, conservative and pro-British) was to get it a charter for the establishment of a university. 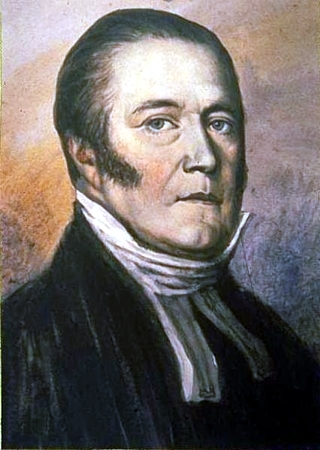 His greatest ambition finally fulfilled, Strachan returned to Canada in 1827 after spending a year in London negotiating the terms of the new charter. King's College was granted a handsome land endowment and founded under the firm control of the Church of England, but students would not be given religious tests. Initially filled with high hopes that he would see the goals he had set for his adopted homeland in religion and education achieved, Strachan faced bitter frustration and disappointment over the next several years. By the time the Reform Party gained a majority in the government in 1828, it was not only opposed to the Church of England's exclusive claims to the Clergy Reserves, but hostile to the very concept of an official church. Reformers also insisted that the charter for King's College be amended to eliminate the Church of England's control over it. Strachan called upon the government to stand firm in defense of Crown prerogatives: King George III had granted the university charter and had granted the Clergy Reserves to the Church of England, and the colonial legislature could not renegotiate them. Strachan believed that the din would settle if the government stood firm, and the church would be able to maintain its position as British immigrants flocked to the colony. But, to his dismay, the government did not stand firm, either in the colony or in Britain. Canadian Tories suffered disillusionment as a liberal reformation movement swept Great Britain in the late 1820s. By 1833, Strachan was lamenting to a friend in England that he and his Tory compatriots "believe the Revolution to have virtually commenced." However, Strachan mistakenly believed the general atmosphere to be "idle clamour ... founded upon misstatement and ignorance" rather than genuine passion for change, and he refused to be swayed by public opinion. "[I] would perish on the Scaffold rather than give up the Reserves or College Charter," he wrote indignantly to Lieutenant-Governor Colborne. While other clergymen thought Strachan was too characteristically Scottish in his stubbornness, he thought his Anglican colleagues lacked political durability. Strachan's firm positions regarding the Clergy Reserves and King's College drew increased criticism on his membership in the Executive and Legislative Councils. When the Colonial Secretary told Strachan that he considered the archdeacon's attendance at the Executive Council inappropriate, Strachan immediately resigned, effective 1 January 1836. "[R]adicals hate the Clergy," he explained to Alexander Bethune. He furthermore believed that responsible government would soon come to the province, and supposed retirement was better than dismissal. What energy Strachan saved by forgoing a battle for the Executive Council he channeled into his fight with the legislature. After the Reform majority accused him of devoting himself to "political strife and secular measures" in February 1836, he shot back by expressing his refusal to be "driven by violence and menace from the seat to which my Sovereign has appointed me." But Strachan's importance had waned beneath the atmospheric shift in the province's political mood, rendering his opinions obsolete, except where church and church-related matters were concerned. 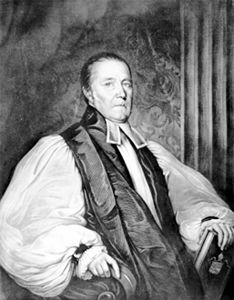 Strachan had gone to the Colonial Office in 1824 to ask that the unwieldly Arch-diocese of Quebec be divided, and that he be appointed bishop in Upper Canada, "an office to which no other Clergyman in wither of the Canadas can with equal justice aspire." While his request was refused, largely for financial reasons, he had been satisfied with the promotion to Archdeacon of York in 1827. The intensity with which he pursued his clerical duties swelled in proportion with the decline of his political role. As the Church faced a loss of financial support in 1832, he traveled hundreds of miles across the province to visit distant parishes, calling for a return to the self-governing church. 1832 was interrupted by a terrible cholera epidemic that killed one-twelfth of York's population. As he had done in the chaos of the American invasion nearly twenty years earlier, Strachan prevented a general panic by taking firm control of the situation. He ministered to the sick, arranged for burials, and appealed to the public for assistance in providing for orphans and widows. The citizens of the newly-incorporated city of Toronto were so impressed by his disregard for any dangers such tireless ministering posed to his personal health that they presented him with a silver vase worth one hundred pounds at a town hall meeting. The engraving on the vase's tripod indicated that it was presented as a "memorial of their respect and gratitude for his fearless and humane devotion to his pastoral duties during seasons of great danger and distress from the visitation of an appalling pestilence." The future of the diocese occupied most of Strachan's concern for the last half of the 1830s, as the Arch-diocese of Quebec could not effectively administer to the remote reaches of Upper Canada. When the Colonial Office indicated in 1838 that it was agreeable to division but could not provide the salary for a bishop, Strachan suggested that he would accept the position without remuneration. Early in 1839, Strachan learned that his long-awaited promotion had finally come. The fact that he would have to pay the �250 fee for the patent and continue as archdeacon and rector for income could not dampen his elation. After consecration in England, he was enthroned in the newly-rebuilt St. James' Cathedral as the first Bishop of the Diocese of Toronto. The era of "John Toronto" had begun. 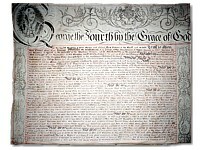 King's College's charter was contested for a decade before any progress was made towards actually opening the university. Between 1829 and 1836, the Family Compact had been strong enough to dismiss all of the Legislative Assembly's proposed amendments to the charter. When the Conservatives retook the majority in the 1836 election, the two houses could finally come to agreement, and amended the charter to reduce the Church of England's explicit control over the university. After sixteen long years, John Strachan at last spoke at the official opening of Upper Canada's first university on 8 June 1843. 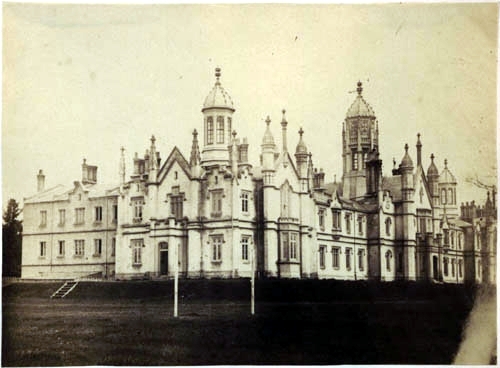 King's College began operation with high academic standards and a distinctly Anglican atmosphere. Once Strachan was satisfied that the university was functioning smoothly, and would continue to do so, he resigned as president in 1848. But Strachan's dream ended just one year later when the La Fontaine-Baldwin coalition passed a bill that completely secularized King's College and brought it under government control as the University of Toronto. 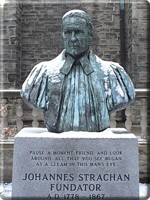 "One of my chief objects during [the fifty years I have lived in Upper Canada] was to bring King's College into active operation," he lamented; "and now, after more than six years of increasing prosperity, to see it destroyed by stolid ignorance and presumption, and the voice of prayer and praise banished from its halls, is a calamity not easy to bear." Never one to accept defeat, Strachan went to England in April 1850 to secure a charter and raise funds for an Anglican seminary. Classes began for the University of Trinity College in January 1852, eight months after its cornerstone was laid. Strachan's campaign over the Clergy Reserves would end similarly to that of King's College. In the late 1830s, the Clergy Reserves issue was one of Upper Canada's most pressing concerns. When Governor General Thomson tried to pass a bill in 1840 giving both the Church of England and the Church of Scotland each a quarter of the proceeds and dividing the other half among other denominations, Strachan built pressure against it in England. The bill was disallowed on the grounds that the colonial legislature did not have the power to disperse Crown lands in such a way. In August of that year, the British Parliament finally passed a bill that divided the lands in a way more favourable to the Church of England than Strachan could have hoped for in Canada. The Church of England was to receive five-twelfths of the proceeds from the sale of the Clergy Reserves; the settlement was seemingly final. But, in 1854, the legislature passed a bill to secularize the Reserves (in Strachan's mind, "the most atrocious specimen of oppressive legislation that has appeared since the days of the French Convention"), despite all of his opposition. The cherished ideal to which he had devoted his entering political career, the union of church and state, was repudiated once and for all. Determined to salvage something, Strachan seized upon one feature of the bill that allowed the clergy to commute the stipends they had been receiving from the Reserves to the Church for investment in a life annuities fund. Strachan convinced his clerics to vote to surrender their stipends, and was thus able to collect a sum from which he was able to create a permanent endowment for his ministers. In the midst of fighting these battles, Strachan, a man advancing in years, had also been traveling his new diocese to make Confirmations and consecrate new churches. Sobered by the Clergy Reserves controversy, he warned his parishes and congregations that they would have to make greater efforts to support the Church. In his vision, the Church of England was apostolic and primitive, free of the corruption of Rome and the "reckless and deadly innovations" of other Protestant sects. In order to survive the changes in Canadian politics, it must become self-governing and move towards the establishment of diocesan synods. 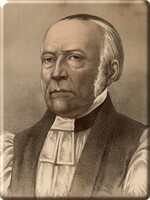 "Our meeting and proceedings will begin a new era in the history of the colonial church," he said in his 1841 charge at the first visitation of the clergy at St. James, "and may be the prelude not only of Diocesan Synods, but of the ultimate union of all the British North American Bishoprics, to convene at stated times in general Synods or Convocations." The next visitation, held in 1853, openly declared itself a synod despite its lack of constitutional authority to do so; after the Legislative Assembly passed an enabling act, the first fully constitutional synod was held in 1857. 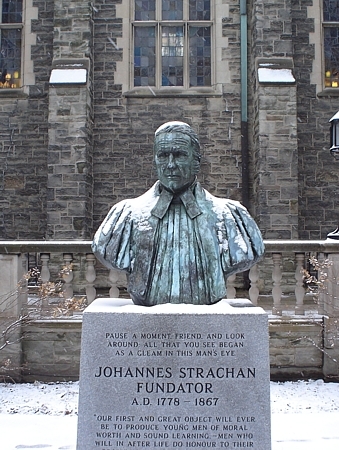 Although Strachan lost the battle to preserve the connection between the Church of England and the state, he saw to it that the church planted deep roots in the Canadian soil, and ensured that it would remain a vital Canadian institution. John Strachan was an octogenarian before his health started to wear thin. After fifty-seven years of marriage, Ann died in 1865, leaving Strachan devastated and without any living children for consolation. He died two years later on All Saints' Day at the age of ninety. No man in nineteenth-century Canadian politics fought with more determination or persistence for what he believed to be right than John Strachan. As a believer in inherited tradition, Crown prerogative, prescriptive rights, and an established church, he destined to be swept away in the wash of liberalism and secularism. Yet he salvaged much for Canada: its ties to Britain remained strong; its society remained more structured than that of the United States; and education was never completely secularized. His influence rooted itself in the minds of the many leading statements of the second quarter of the nineteenth century he had taught as boys.